My sister Elaine and I went up to Athboy a few months ago to have a stroll down memory lane (we grew up there until I was 12). I took a camera and stopped to photograph this old abandoned petrol station. We used to stop here back in the 80s when we lived in Athboy and used to shop in Navan on Saturdays for our groceries. I love old petrol stations for some reason. 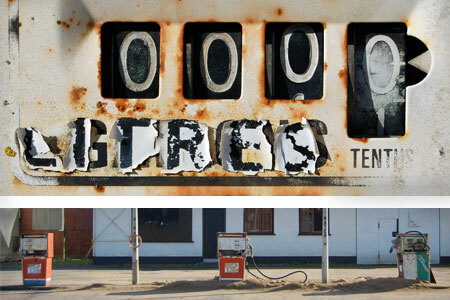 Take a look at the abandoned petrol station photos on flickr.